Here is my 1:35 scale Trumpeter M1117 Guardian. 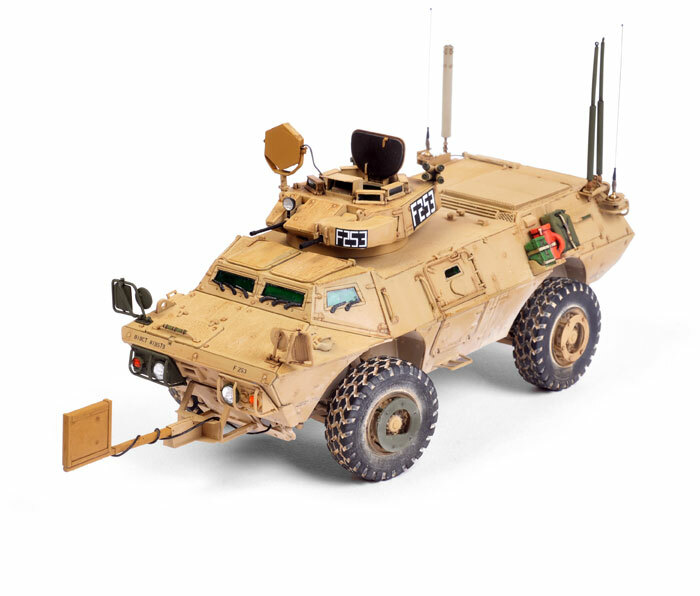 The model was detailed with sets from Blast Models and Voyager, plus the Legend Productions Rhino Anti-IED Device. New World Miniatures' excellent replacement resin wheels were also used. 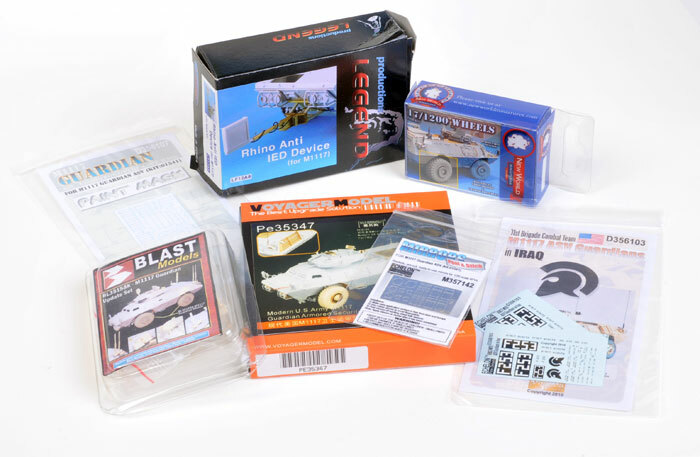 Decals, painting masks for the vision blocks and mirrors are from Echelon. 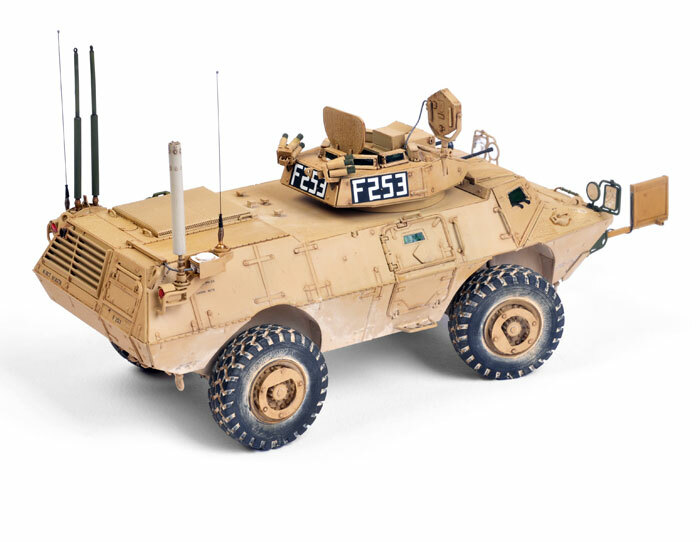 This model features in a detailed article in Issue 57 of Model Military International magazine, available now in print or as an iPod / iPad App - just search for Tamiya in your iTunes App Store.